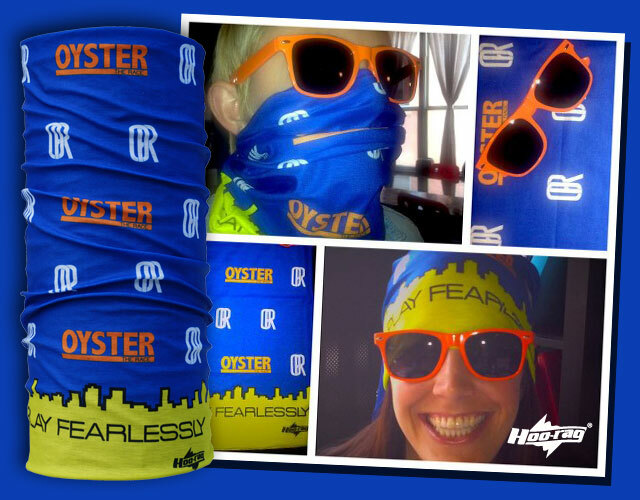 Hoo-Rag is pleased to partner with Oyster – The Race in creating a Custom Hoo-rag! 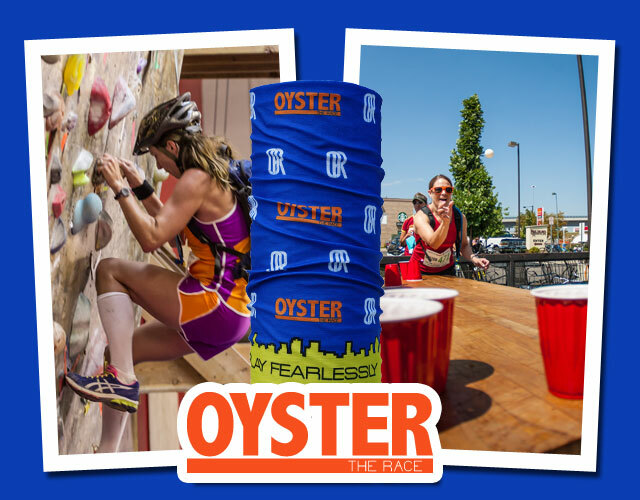 An urban adventure, Oyster – The Race dares you to combine intelligence and athleticism in a challenging race. They have some upcoming races in August and September. You can put together a team and register at www.oystertherace.com. If that’s not enough, they even offer you a chance to play fearlessly for FREE! You can enter to win free race entries, gear or just sign up for their newsletter. We encourage you to check them out. We are super pleased with the way this Hoo-rag turned out and look forward to seeing these Hoo-rags in action!